Aviointeriors continues enlarging its range in the Premium Economy market. After the low range Columbus Four and the top range Adagio PE, Aviointeriors is glad to present its new Premium Economy “CARAVAGGIO”; hard work, effort and devotion has enabled to bring to life Caravaggio. This new seat has all the technical requirements to compete with and outmatch competitor products of P.E. category. Our primary goal was to complete our proposal in this new market segment, enabling airline companies to sell a P.E. seat, which will increase customer satisfaction. 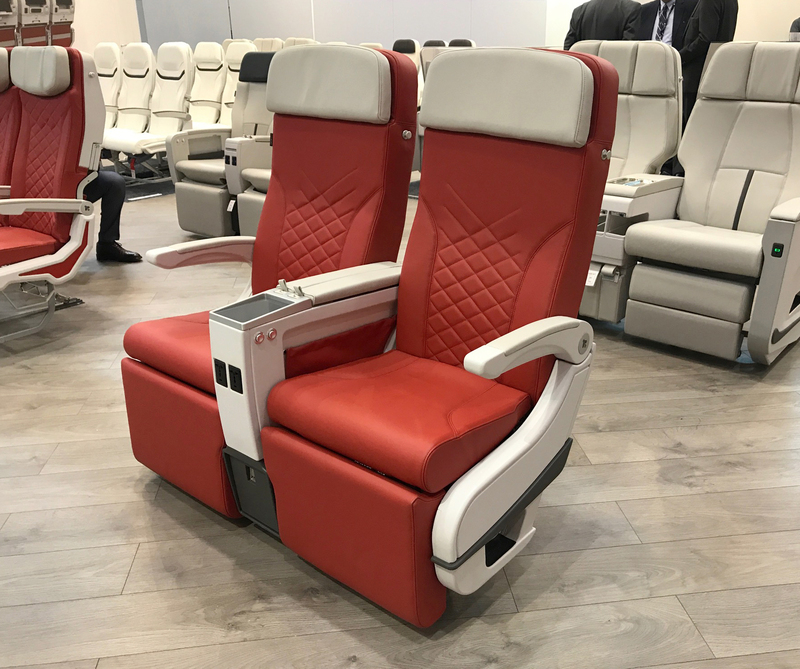 Aviointeriors ensures that Caravaggio will match and exceed customer expectations: increased comfort, quality components, greater storage, for a higher passenger experience. Passengers will definitely be enthusiastic of the unique solutions available on Caravaggio: 8 inch recline, 15 inch IFE, 34 inch pitch installation, various storages, new cocktail table on center console, bottle holder, shoe storage, etc.